This is a remarkable home! All brick on 2 lots in Oak Knoll South with great curb appeal that will awe you. 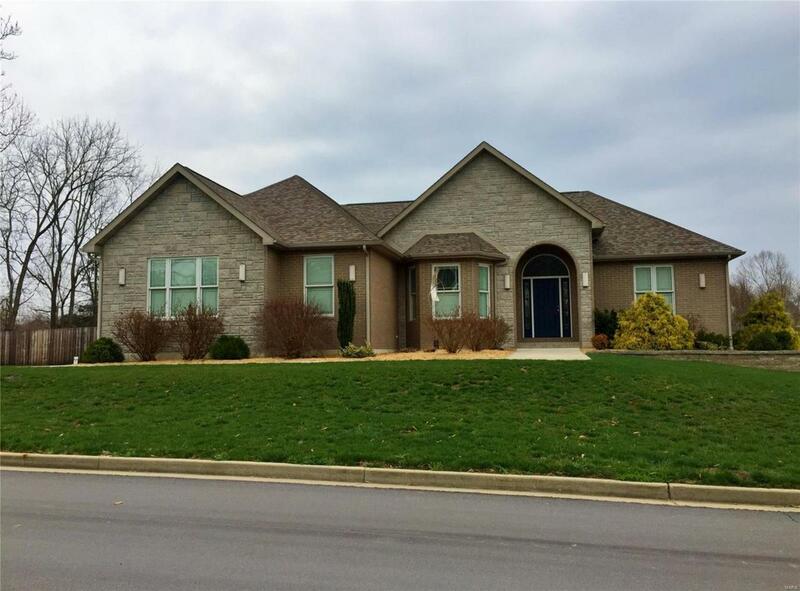 Tons of windows with built-in blinds, lots of light, a DREAM kitchen with a huge island like you see on HGTV, beautiful formal dining room, roomy master suite plus a second bedroom suite on the main level, full mostly finished walkout basement, privacy fenced back yard and so much more. 6" interior walls, 2 laundry areas, alarm system, Quartz countertops, side entrance, storm shelter room, wet bar in the basement rec area, Air bath (bubble) tub with lights and huge walk-in shower in the master bathroom. This home was specially built with lots of extras. Great neighborhood with the city walking trail near by. You will want to see this home!